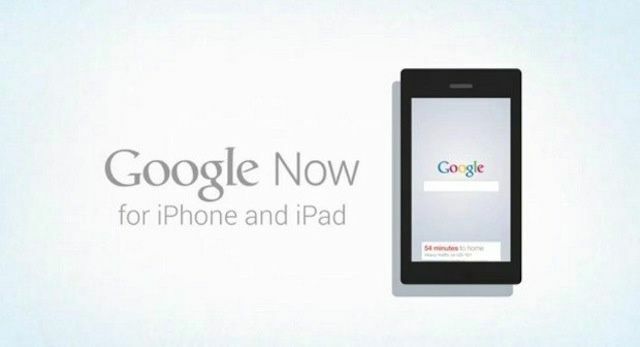 Last week, Google accidentally posted a video to its YouTube channel which announced Google Now is coming to iOS. The company quickly pulled it shortly after it went up, and it wasn’t clear whether the app would actually come to fruition, or whether it was a project Google had started and then killed. Now the company’s chairman, Eric Schmidt, has confirmed Google Now is on its way to the App Store — but only if Apple approves it. It’s pretty much the same message Google gave out prior to the release of Google Maps for iOS last December. And it’s a promising one, because it means that as long as Google Now for iOS adheres to Apple’s App Store policies, we should see its release any day now. If you’re unfamiliar with Google Now, it’s a smart personal assistant which was first introduced to Google’s Android platform last July, and it aims to provide users with all kinds of helpful information at their fingertips. It monitors the Google searches you make, the emails you receive via Gmail, and your Google Calendar, then provides you with handy “cards” based on the information it has gathered. For example, it might display your upcoming appointments and information on how to get to them, recipe suggestions based on foods you’ve searched for, results from your favorite sports teams, and details on your upcoming flight. The feature has received plenty of praise since its release, so it’ll be great to see it on iPhone. That’s if Apple approves it, of course.